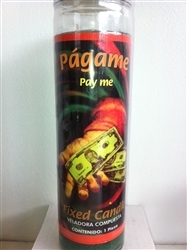 This is a seven (7) day prepared scented mystical candle in glass for Pay Me (Pagame). This green candle is used to get someone to pay you what they owe you. 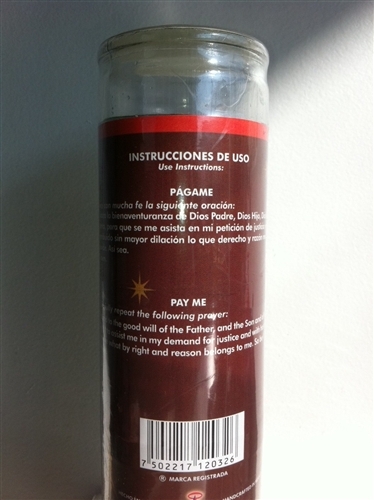 The instructions are written in English and Spanish.